It's been a fun & interesting thing for me to talk some of my clients in to putting a lamp into their space. 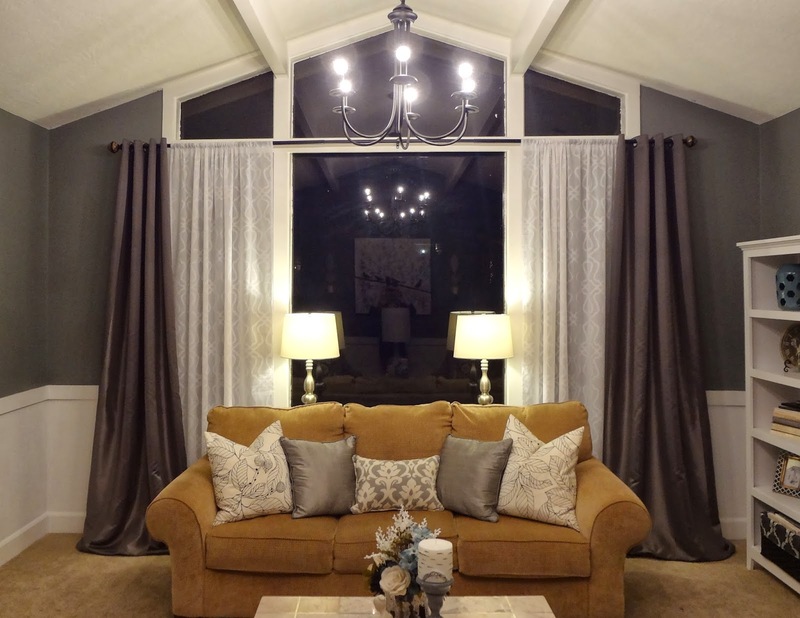 There are quite a few people out there that are missing out on such a wonderful home atmosphere because they haven't realized what proper lighting in a room can do. 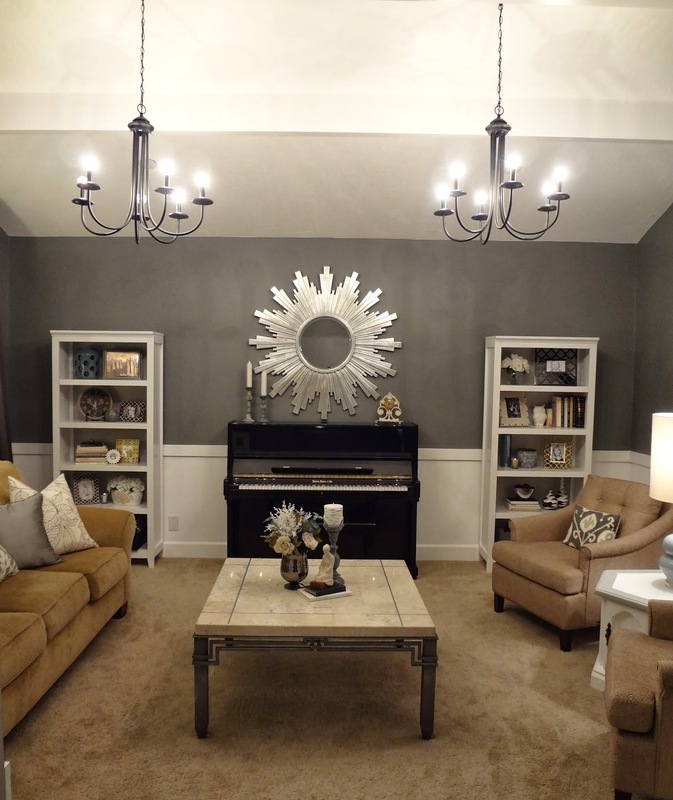 So I wanted to share and explain why it is so important for any room in your house to have some great lighting options! 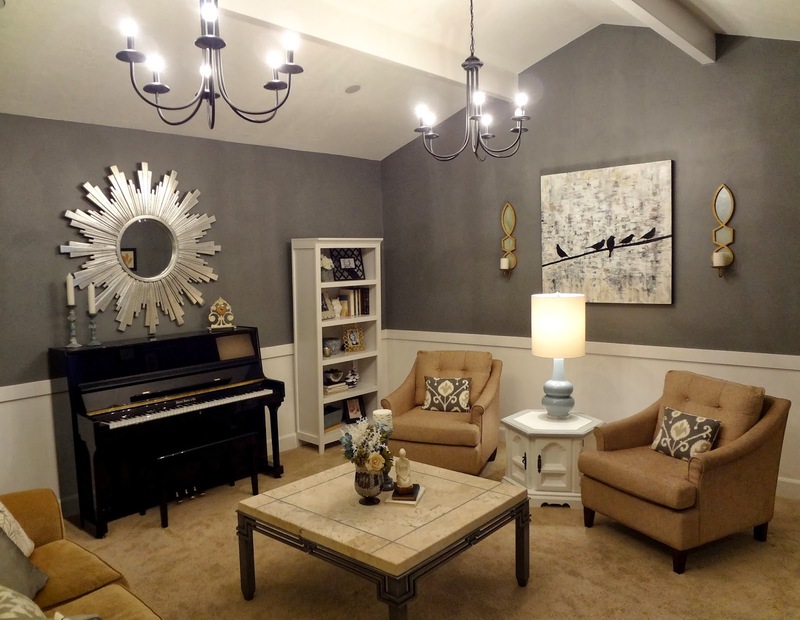 There are 3 different "layers" of lighting that you need in a home. That mainly consists of any hard, overhead, ceiling mounted light fixtures. A lot of homes have the cheap-o standard flush mount fixtures that most times are too small scale for the space, and that is all that people have for lighting a room. 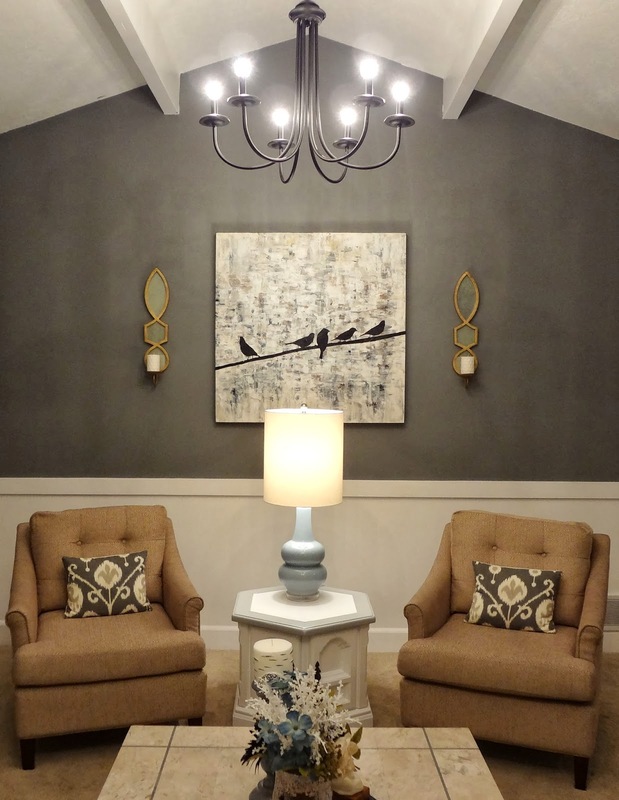 Putting a better scaled fixture that allows more light in the room will add so much! I would say the most important rooms in the home that Ambient lighting is crucial is the kitchen and the bathrooms. My two favorite lighting resources are surprisingly Home Depot and Lowe's! These fun chandy's were purchases for only $55 a piece at Lowe's, we just added round soft white bulbs rather than the flame shaped ones to add a fun contemporary element. They are such a wow factor in the space and are one of the first things people notice! This is talking about lamps. In my opinion, proper task lighting is THE most important element when designing a space. It is especially crucial for sitting area's, or bedrooms for, yep, you guessed it, completing a task, like reading. The best part about task lighting is the fact that there are so many fun artistic lamps available to be a beautiful statement piece in the daylight, when not in use, and acts as functional art in the evening. My favorite go-to place for Lamps is Target, if you are on a budget. Overstock.com has a plethora of amazing finds, ranging from budget friendly to splurge central. This one is candles, sconces or mood lighting. 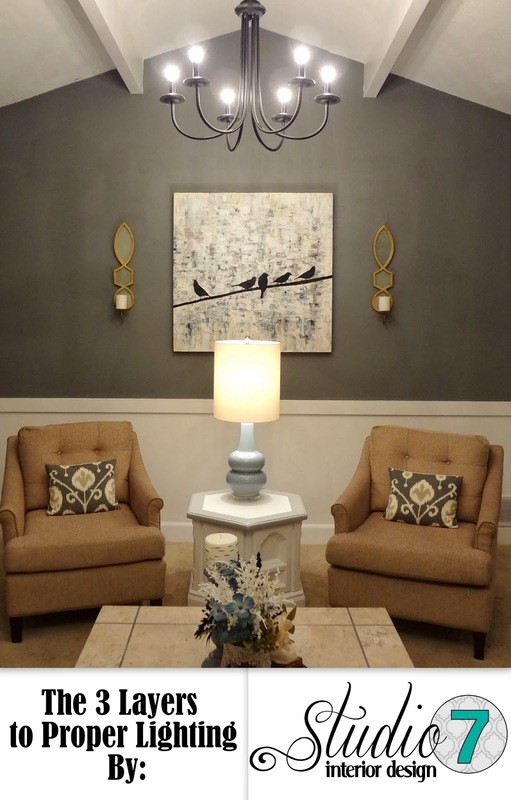 I wouldn't call this a crucial lighting element, but in the right rooms are so nice to have. Love putting hardwired sconces on a dimmer switch in hallways or foyers. I love the mirror above the piano! Can you tell me where it came from?